Editor's Note: This article was originally published on April 3, 2018. Nonprofit directors may want to consider not doing their jobs for a few months, and foundations may want to consider paying them for it. Just as the sabbatical, a period of paid leave, is standard practice in academia, a set of organizations and funders has been working to make it more common in the nonprofit world. The organizations that support these free blocks of time for reflection and development swear by their ability to strengthen not only the leader that goes on leave, but the organization’s capacity, along with the connection between grantor and grantee. There’s a potential financial benefit, too, if it can reduce turnover and recruitment costs. While the practice has only a few longtime funders, the group has grown to something like a dozen, according to one expert cited in a recent New York Times op-ed the exploring the topic, and interest seems to be growing. Durfee’s even released a how-to guide in response to the many funders that have inquired about how to get sabbaticals right. It’s understandable that foundations would take an interest. Working at a nonprofit can be exhausting, with high turnover, long hours, low pay, and general scarcity of resources contributing to anxiety. While it’s fulfilling to work on an important cause, that deep investment can be further cause for exhaustion. This is especially extreme among activists, and those offering direct services or organizing in low-income neighborhoods or communities of color. These stressors are often hardest on nonprofit directors (maybe development directors, too). They are, after all, at the helm of a ship that may be taking on water, or seeing its crew jump overboard. EDs often provide core identities of their organizations, not to mention financial stability, with these jobs typically including heavy fundraising responsibilities. It's a lot of weight to bear. Of course, this points to the larger problem that underlies these woes—a lack of overall funding, particularly when it comes to building the strength of an organization and its people. One recent report found that around half of nonprofits surveyed have less than one month of cash reserves, and some 7 to 8 percent are financially insolvent. Funding shortfalls are especially bad when it comes to money for leadership and staff development, organizational capacity, and general operating support. Project and program support (often with strict metrics that rarely involve staff training or development) far outweigh general support and capacity building grants. According to the Foundation Center, over a recent 20-year period, just 1 percent of foundation giving went to leadership development. Add up all of those stresses, and the not-insignificant threats ushered in by the Trump administration, and a nonprofit can feel like a pressure cooker. For foundations supporting sabbaticals at nonprofits, offering leadership an extended period of time off has a number of benefits, outlined in a 2010 study by Third Sector’s Deborah Linnell and CompassPoint’s Tim Wolfred. Directors often report a “rejuvenated spirit,” and improvements in work-life balance, physical and mental health, personal relationships, and vision for their work, which can carry on long past the sabbatical. They also can help an organization grow in the director’s absence. A well-executed sabbatical sets up a plan for other leaders to step up during what is considered an optimal length of three to four months away. 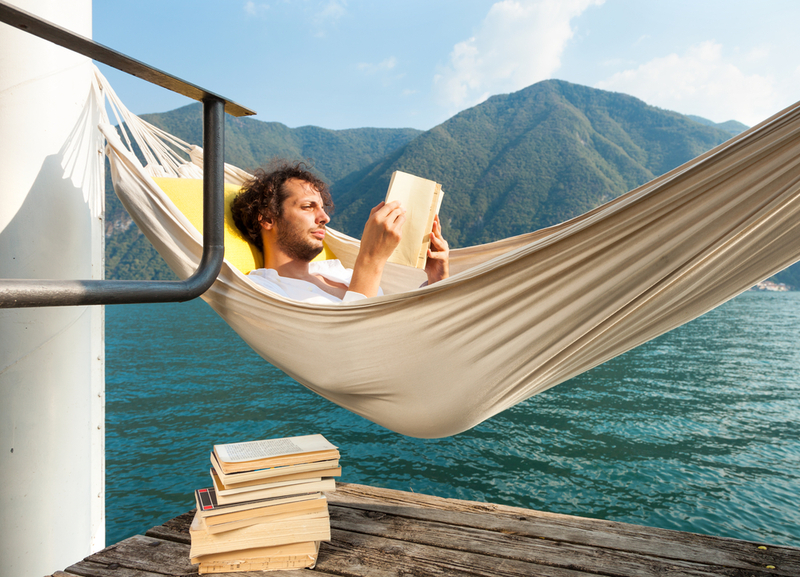 Nonprofit sabbaticals vary in terms of what a leader is expected do during their break—they commonly lack any sort of product requirement like academia's book-writing mandate—but they generally require cutting ties with the organization. This can help to clarify what the executive director’s role is and should be, and provide a new sense of purpose and priorities on the part of leadership. Programs often include professional development funds for other staff, in addition to covering the ED’s salary. [T]he enormous demands of their jobs, often combined with the financial pressure of working in an underfinanced field, can prevent them from taking time off for much-needed rejuvenation. The risk of burnout is high. Without support, the greatest resource of the nonprofit sector—its extraordinary human capital—can be squandered. Durfee is, in fact, one of the biggest proponents of funding sabbaticals. It’s done so in the Los Angeles area since 1997, with more than 100 funded to date. Recipients are a diverse group made up mostly of people working in human services, community organizing, and arts and culture nonprofits. The Alston/Bannerman Fellowship Program was a pioneer in sabbatical funding that has since ceased operating. It started back in 1988 to support organizers of color by giving them time for reflection and renewal. The Z. Smith Reynolds Foundation, a North Carolina funder, was another early adopter of the practice, awarding sabbaticals since 1990. In fact, many of the foundations that have embraced this idea are local funders, which makes sense, considering they have more at stake, and more direct interaction, when it comes to the well-being of a region’s nonprofit community. Since 2005, the Barr Foundation in Boston has offered two-year fellowships that each include a three-month sabbatical. Rasmuson Foundation has a program in its home base of Alaska that benefits tribal executives as well as nonprofit leaders. Others include the Virginia G. Piper Charitable Trust based in Phoenix, the Clare Rose Foundation in Southern California, the California Wellness Foundation, and the Meyer Foundation in Washington, D.C. Foundations that support them are still relatively scarce, but sabbaticals offer a lot of benefits that you can imagine would appeal to philanthropists as an entry point to funding more staff development. For foundations that want to provide greater support for the human beings working on their causes, but need some kind of concrete mechanism or demonstrated return, this is a pretty good option at around $40,000 to $50,000 a pop. As Durfee’s 20-year retrospective puts it, “Very few capacity building interventions provide as much bang for the buck as the simple act of offering a sabbatical.” The benefit is especially clear in the case of organizers and activists who so often work round the clock with very little room to step back and breathe. If sabbaticals continue to catch on, let’s hope it’s a step toward a greater effort to remedy the problem of insufficient organizational support from funders. Whether it’s unreasonable application and reporting requirements, fixation on overhead, or expectations that groups change the world with $25,000, philanthropy has a lot of room to improve when it comes to providing the nonprofit sector with what it needs to succeed. In large part, that simply means trusting grantees and the people who comprise them. Maybe one way to learn how to do that is by paying people to do whatever they want for a few months other than their jobs, and seeing what happens.